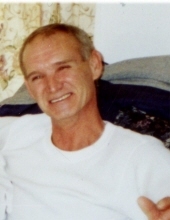 Claude Edward Curnutt, age 65, of Kingston, Tennessee departed this life on Sunday, November 18, 2018 at his home. He was born on January 27, 1953 in Harlan County, Kentucky to the late William Edgar Curnutt and the late Stella Mae (Bennett) Curnutt. Besides his parents, he was also preceded in death by his brothers, Jerry Wayne Curnutt, Jimmy Dale Curnutt, and Billy Ray Curnutt. He is survived by his five sisters, Janice Dexter (husband Larry) of Corbin, Linda Wilkins (husband Pat) of Greenville, KY, Ellen Prewitt (husband Kenny) of Williamsburg, Judy Garza (husband Javier) of Nicholasville, and Sandy Smith (husband Jerry) of Rockholds; two brothers, Dennis Curnutt of Williamsburg and Eddie Curnutt of Kingston, Tennessee; several nieces and nephews; and a host of other family and friends to mourn his passing. Visitation will be 11:00 A.M. until the funeral hour on Wednesday, November 21, 2018 at Croley Funeral Home. The Funeral Service will be at 1:00 P.M. Wednesday, November 21, 2018 at the Croley Funeral Home Chapel with Rev. Doyle Lester officiating. Following the Service he will be laid to rest in the Curnutt Cemetery at Bear Hollow, Rockholds. To send flowers or a remembrance gift to the family of Claude Edward Curnutt, please visit our Tribute Store. "Email Address" would like to share the life celebration of Claude Edward Curnutt. Click on the "link" to go to share a favorite memory or leave a condolence message for the family.